The talking M&M's have been a thing for a while. Mostly, they are funny. Mostly the ads are pretty good. But, this being the Super Bowl, it's time to bring out the stupid. Guy laughs at brown M&M because he thinks it's naked. 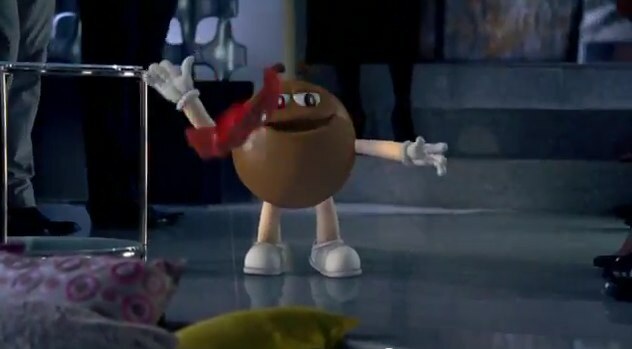 The a red M&M shows up and strips because he thinks it's "that kind of party." Hilarity ensues.